I have to give credit to my husband for this one. He came up with the idea on his own. I helped him carry it out. 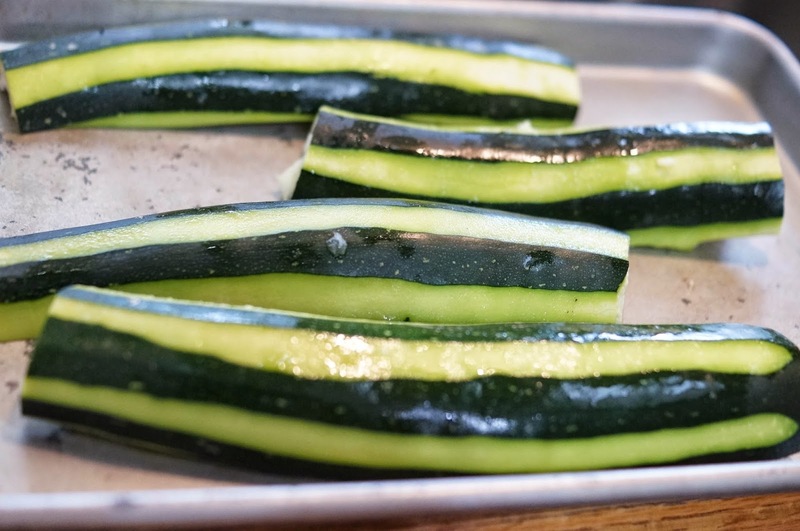 We used small zucchini here but you can use larger ones. You will need to cook them longer to get them soft. Change up all the toppings as you like them. I will give you a guide as to how we put our tasty dish together. The amount you need will depends on how large your zucchini is and how many you make. 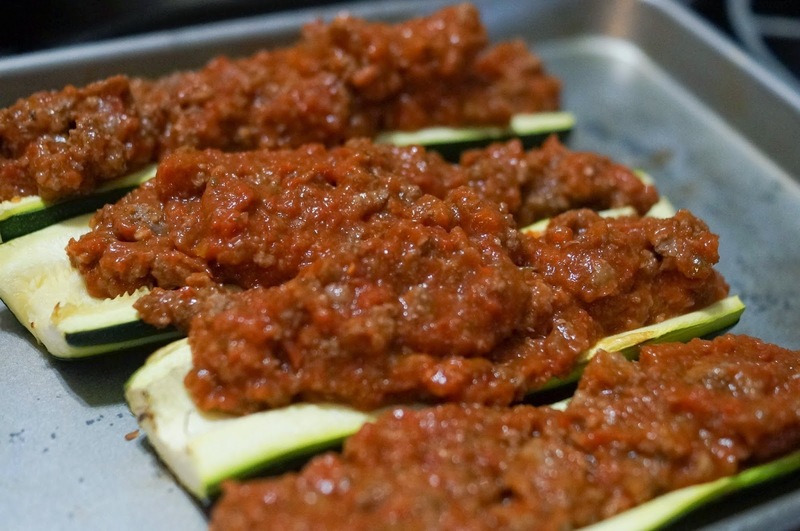 I used approximately 1/2 pound of beef and 3 cups of sauce for these 4 smaller zucchini. 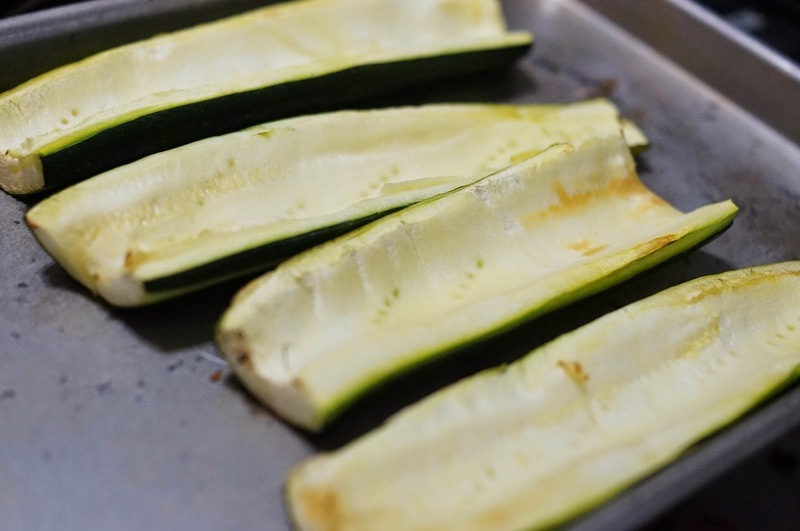 Cut ends off your zucchini and scrape out the middles. You want to be able to stuff em with as much yummy as you can and not have it all fall out. (We didn't use our middles in the filling but you could. Dice up and cook with your ground beef.) I also took off part of the peel. Sometimes it can be a little difficult to eat and this makes it easier. Cook at 350 degrees for 15-25 minutes. We like ours softer so we went with the longer time. Flip over your little boats. 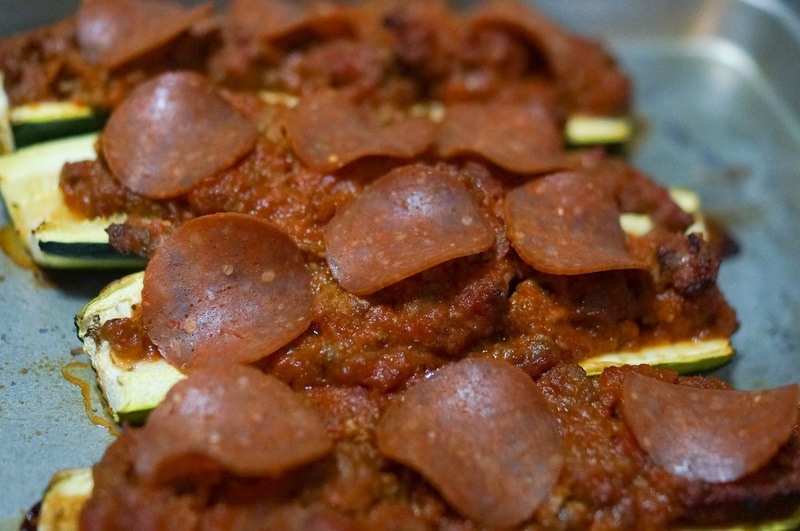 Fill with the ground beef and sauce. 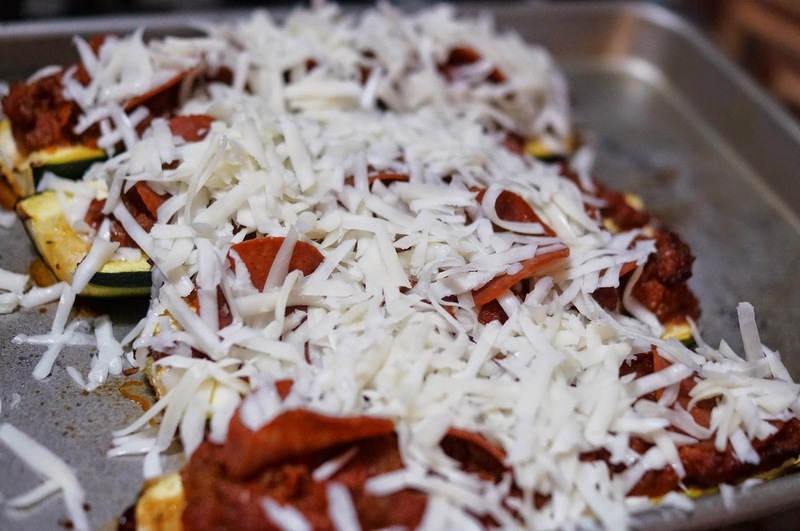 Top with cheese and bake for another 15-25 minutes or until the zucchini is as soft as you like it. If you find your cheese is browning too quickly you can add foil on top and remove at the end or add the cheese toward the end. These look amazing. I knew I forgot something at the store yesterday! Zucchini!! :) Next time. And I'll make these. Those even look good to me and I'm a vegetarian! I bet I could find some good substitutions, and this is a great switch from pizza since my guy is trying to stop eating so much wheat. I love the healthy with the not so healthy!! I will definitely have to give these a try. 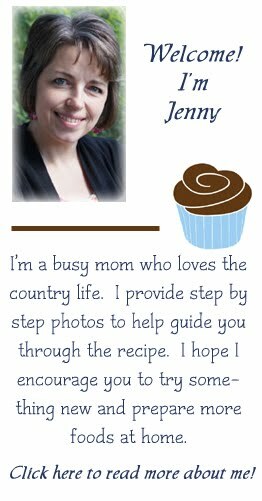 I love this recipe Jenny. 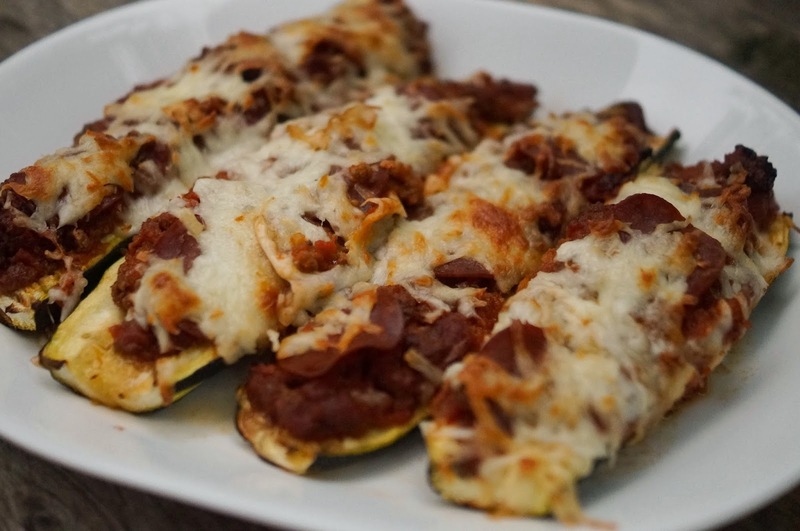 It's a great way to use up all the zucchini and it's very delicious. Thanks so much for sharing it. Pinned/shared.